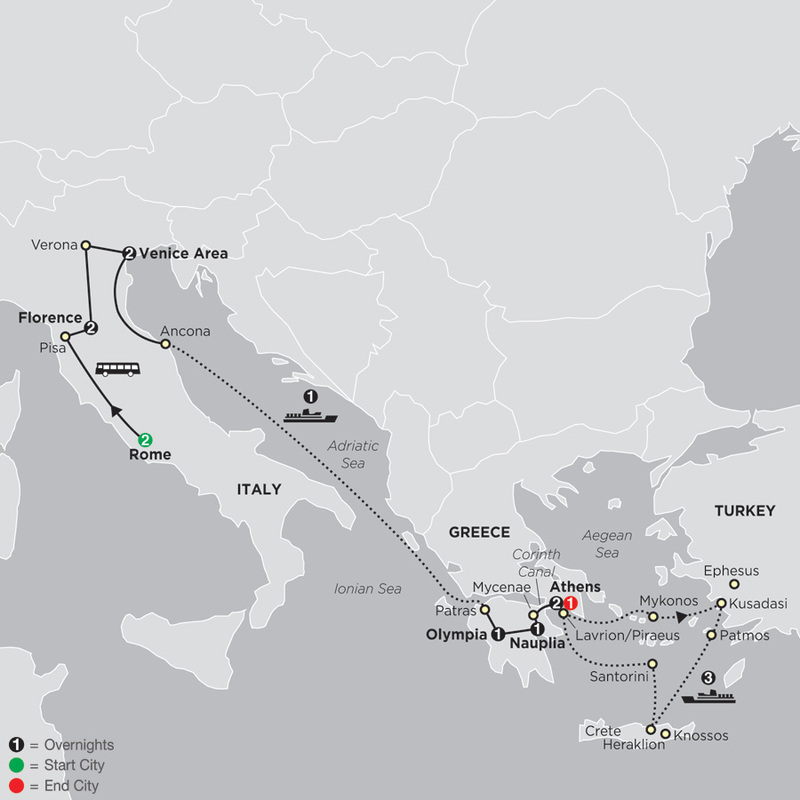 Greece - filled with ancient history, beautiful scenery, and awe-inspiring sights - and with Cosmos, you’ll experience it at an affordable price. 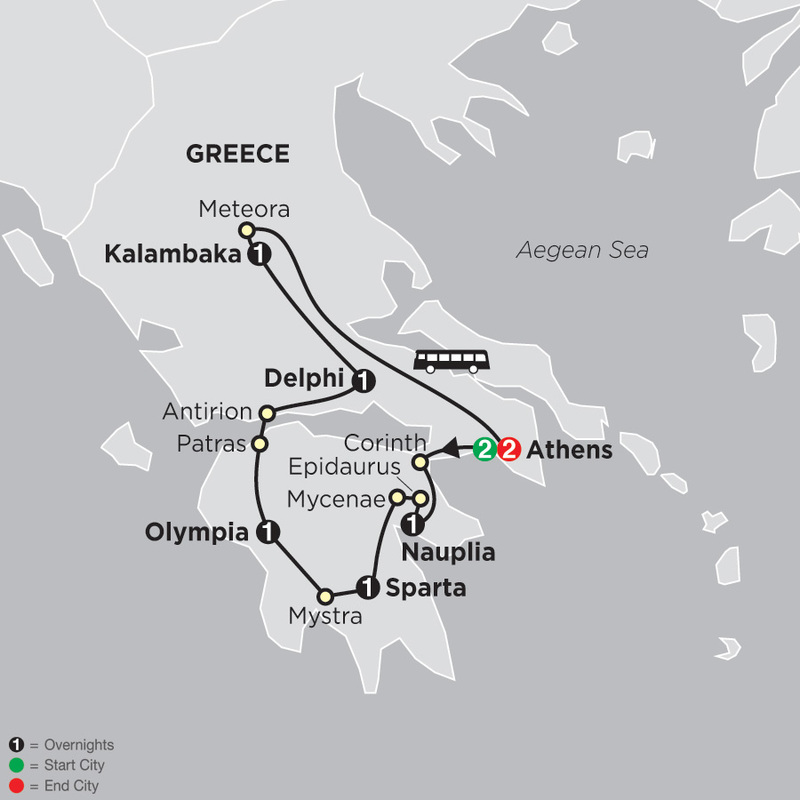 On your escorted tour, step back in history to visit the Acropolis in Athens and Delphi’s archaeological site; learn about the Olympic Games in Olympia; and relax on the sandy beaches in Kusadasi. 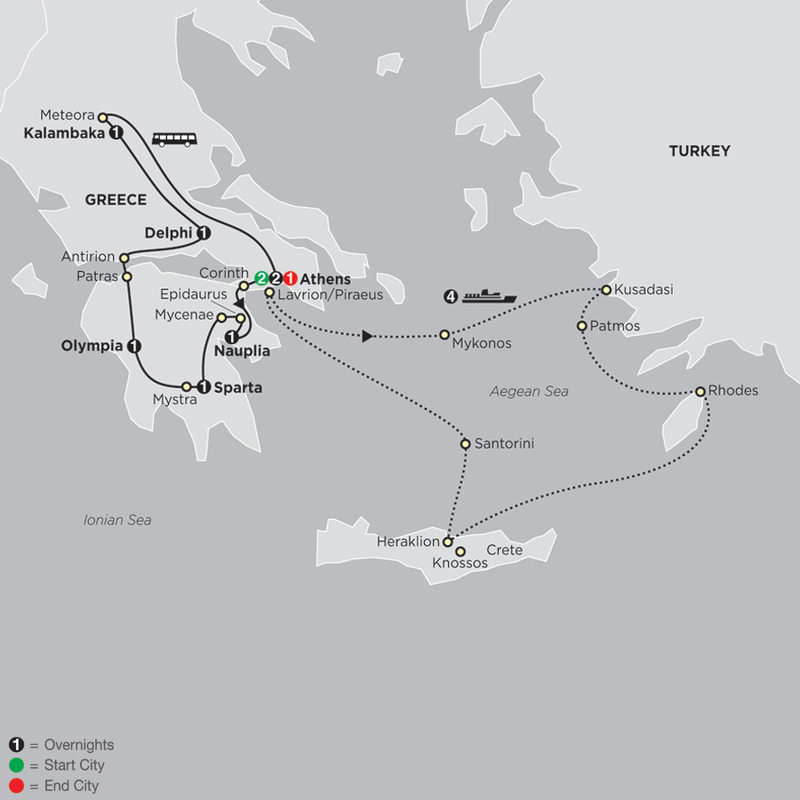 Or cruise the Aegean Sea and sail to the Greek Isles. 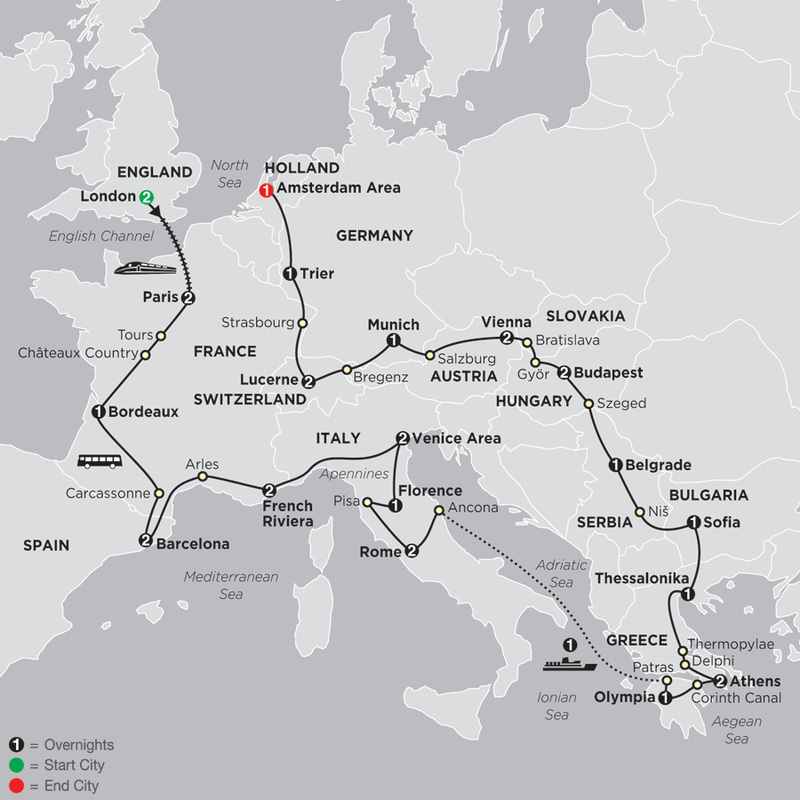 On Cosmos escorted tours and cruises in Greece, you’ll get the chance to make lasting memories without breaking the bank. On this Best of Greece tour, discover the best of historic and mythical—as well as modern—Greece. 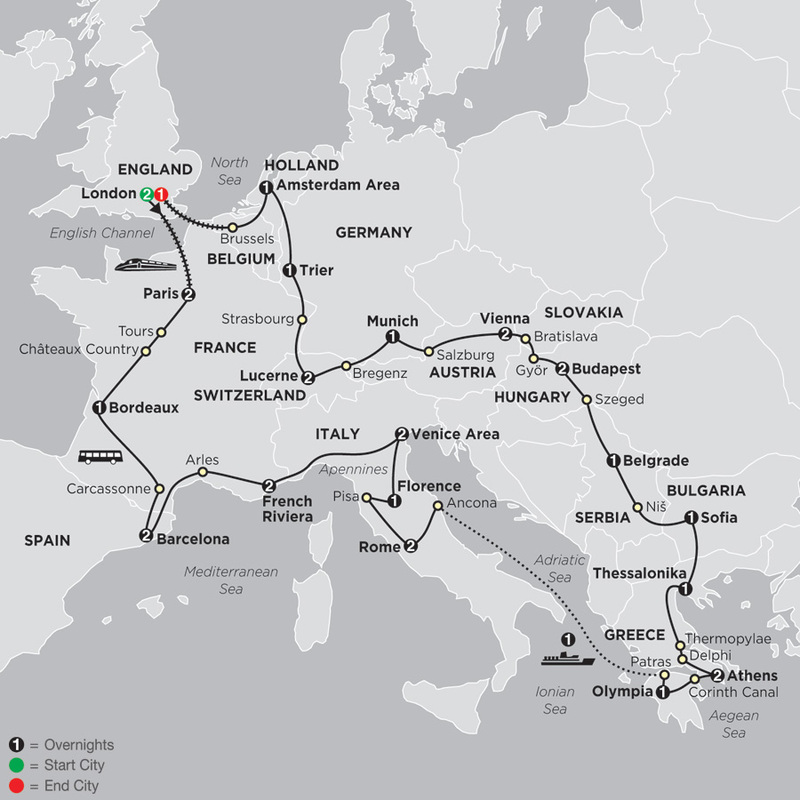 As the birthplace of Western civilization, Greece has some of the world’s most fascinating archaeological sites, and now is your chance to explore the Greek Isles on your affordable ...Read More. You've seen photos of the ancient Acropolis, dating back to the 5th century BC—now’s your chance to see it in person. You've watched the Olympics on TV—now’s your chance to visit Olympia, legendary home of the first Olympic Games. 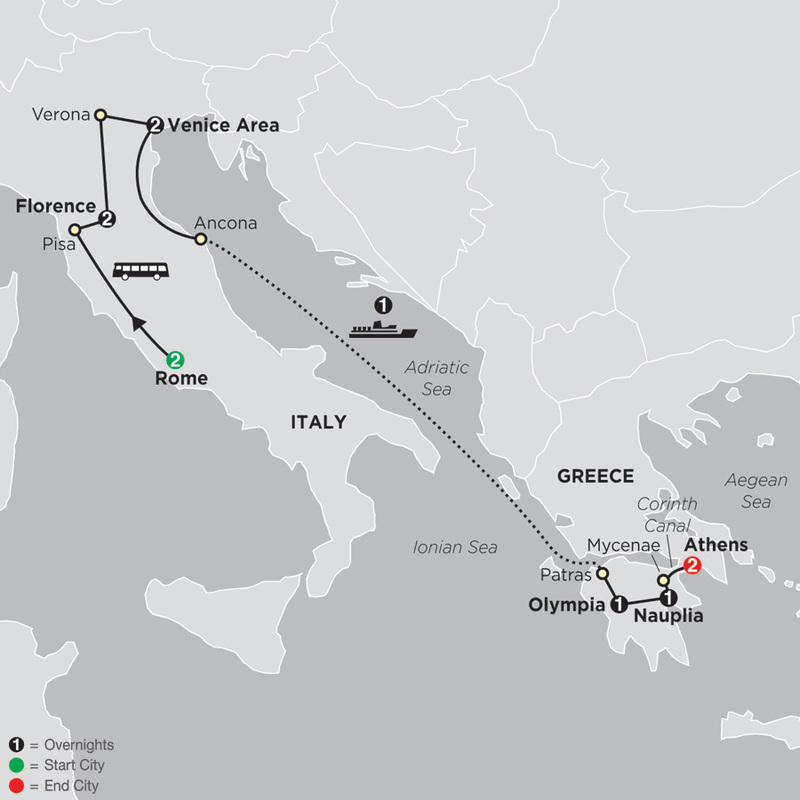 You've dreamed of cruising in the Greek ...Read More.